SnapCacklePop: Jason Derulo is coming to Australia..! Jason Derulo is coming to Australia..! His new album features hit singles The Other Side which has already reached double platinum in Australia, Talk Dirty that rose straight to the #1 position on the ARIA single chart & #2 on the Australian Airplay chart and more recently the romantic song about fiancé Jordin Sparks Marry Me already surging up the iTunes chart in the Top 20 albums after just being out 4 days. 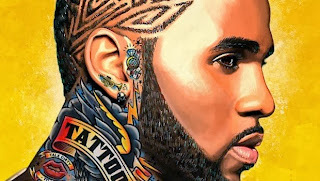 As part of the promotion of the new album, Jason Derulo is set to arrive in Australia in just over a week for a promotional visit to support the albums release. He will doing personal appearance and performance at Parramatta Westfield on Thursday 3 October then will appear in a special club show at Sydney’s Marquee at The Star on Friday 4 October.